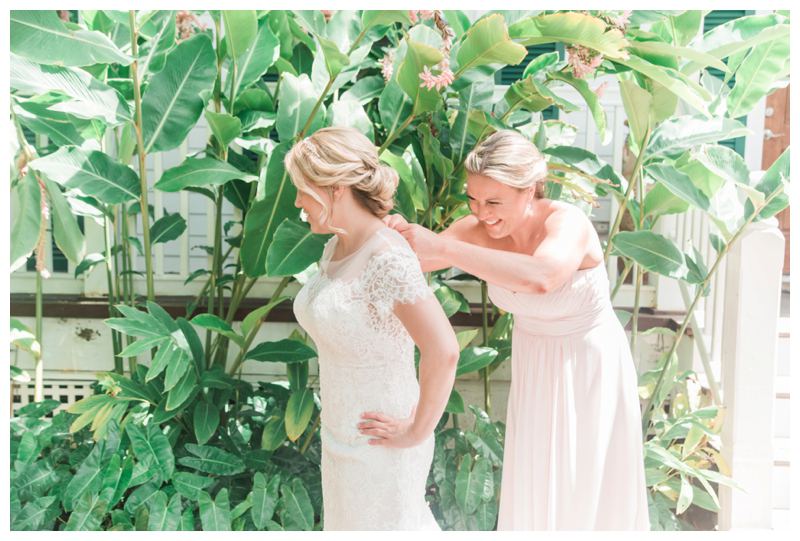 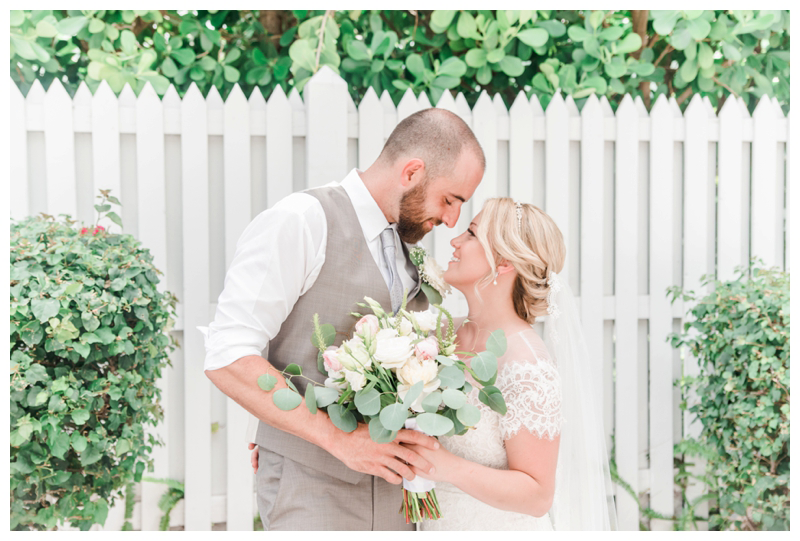 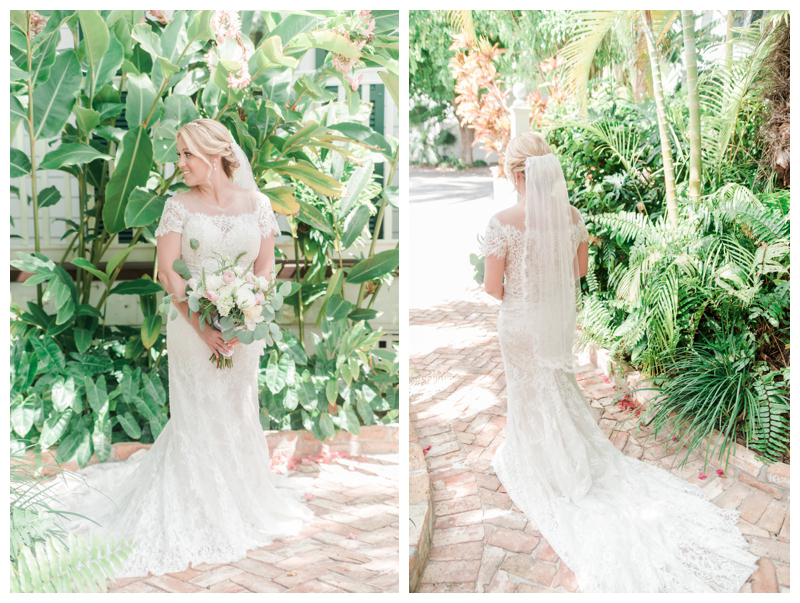 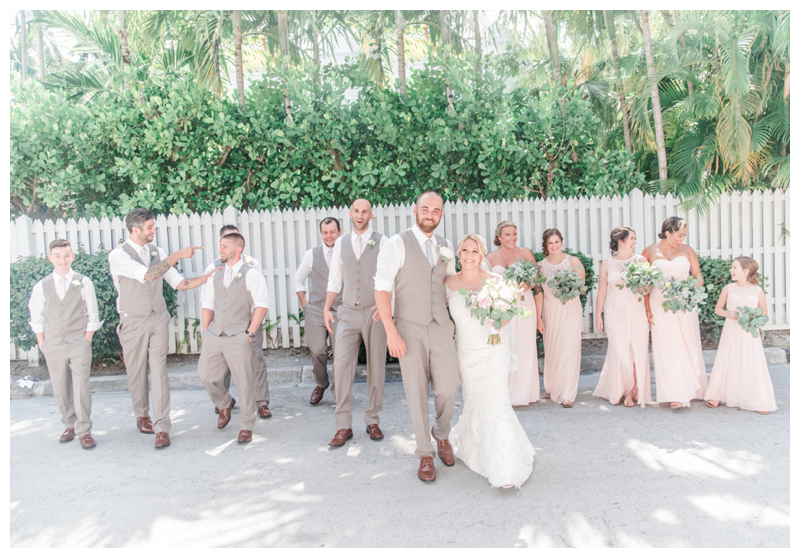 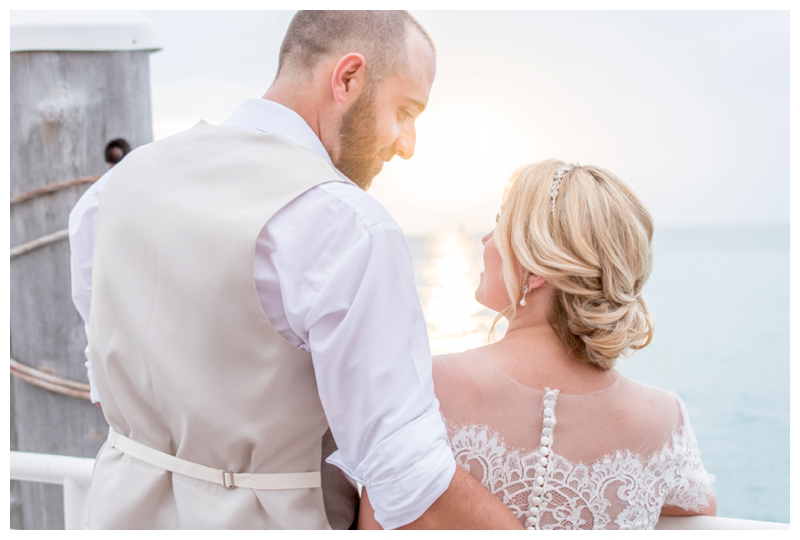 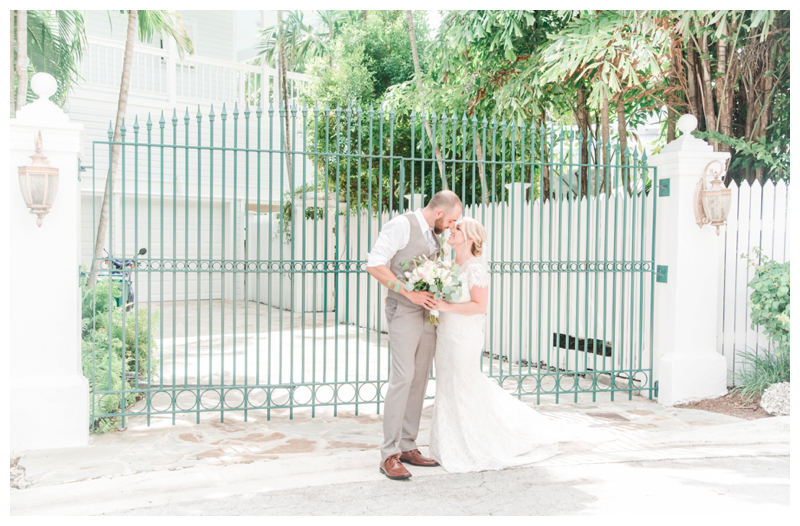 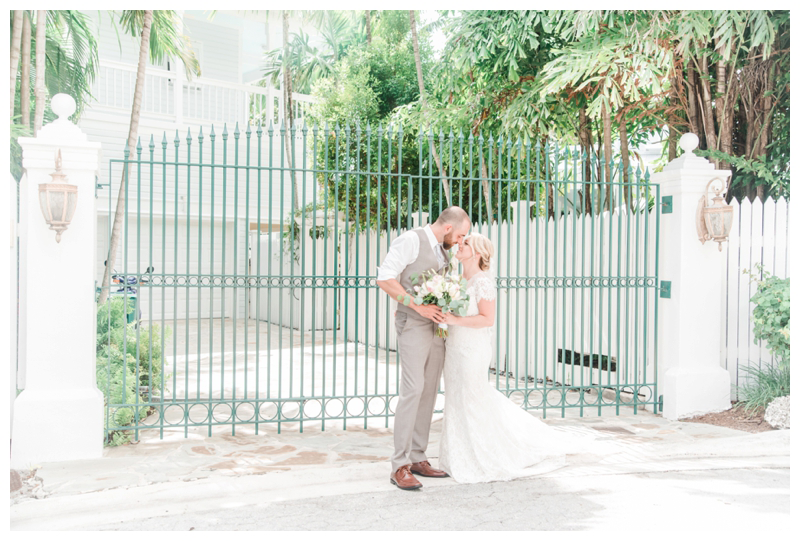 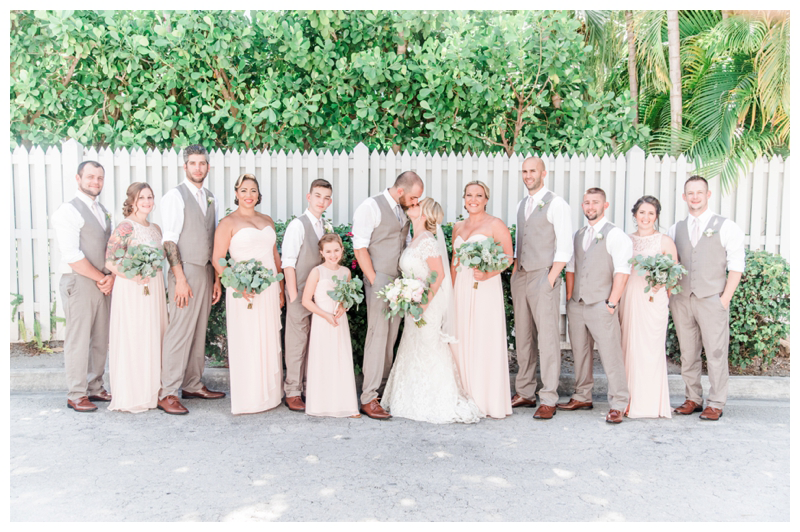 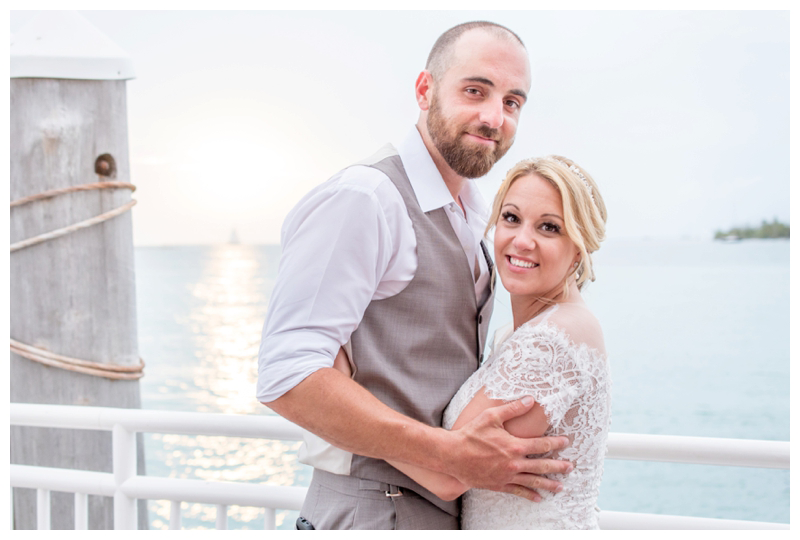 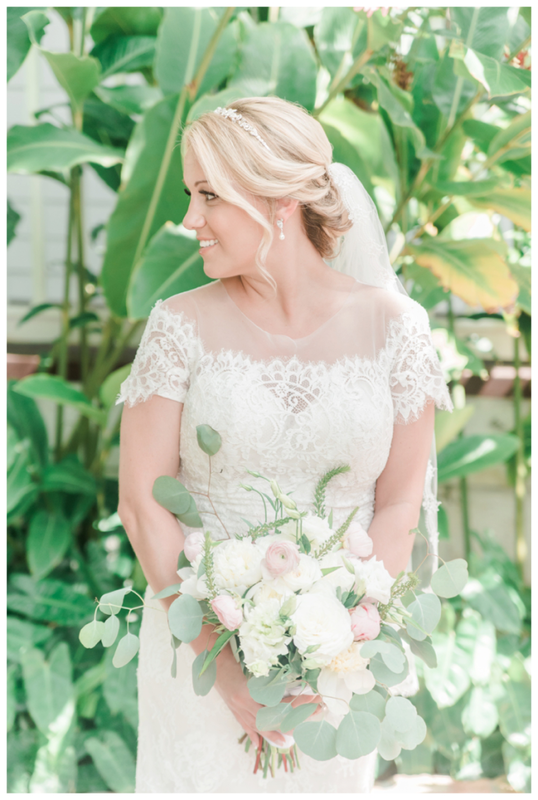 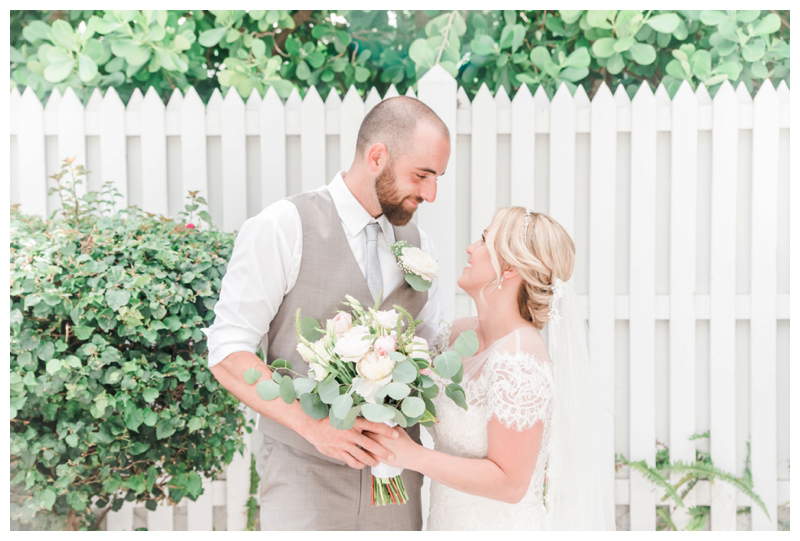 About a year ago, my sweet Bride Jamie emailed me informing me that they were considering having their wedding in Key West Florida and asked if I would be interested in photographing it. 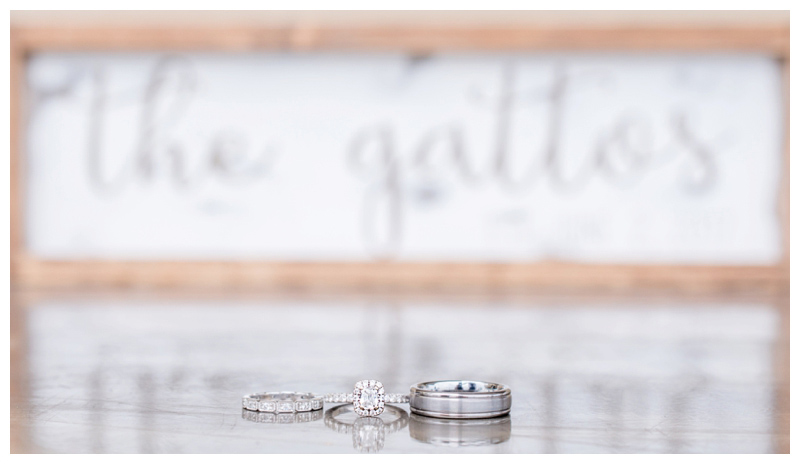 After I screamed “YES!” in my office sitting in front of my computer by myself (and startling my dog who was asleep under my desk!) 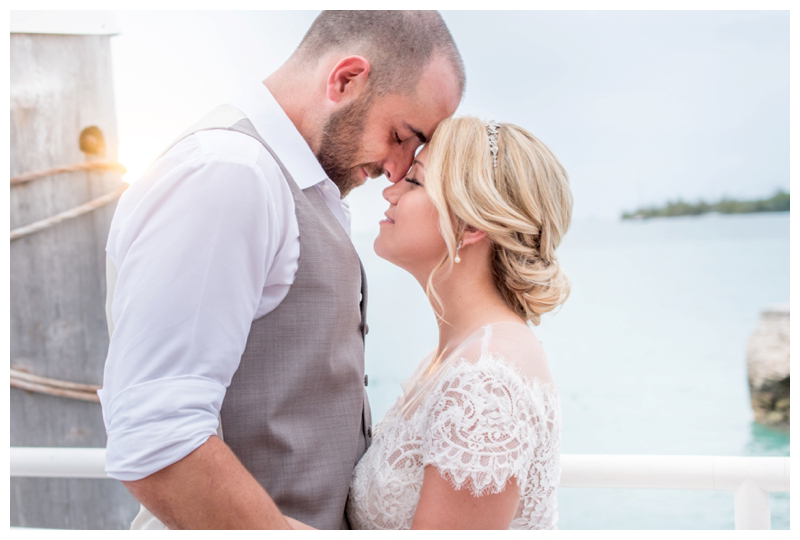 I responded to her email that “Absolutely 100% I would love to photograph your wedding!”. 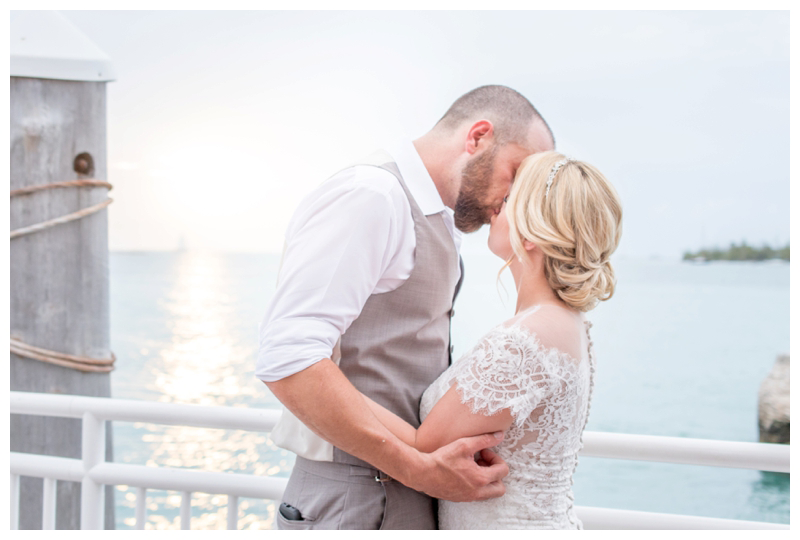 Fast forward a few months, and my husband and I were in Key West. 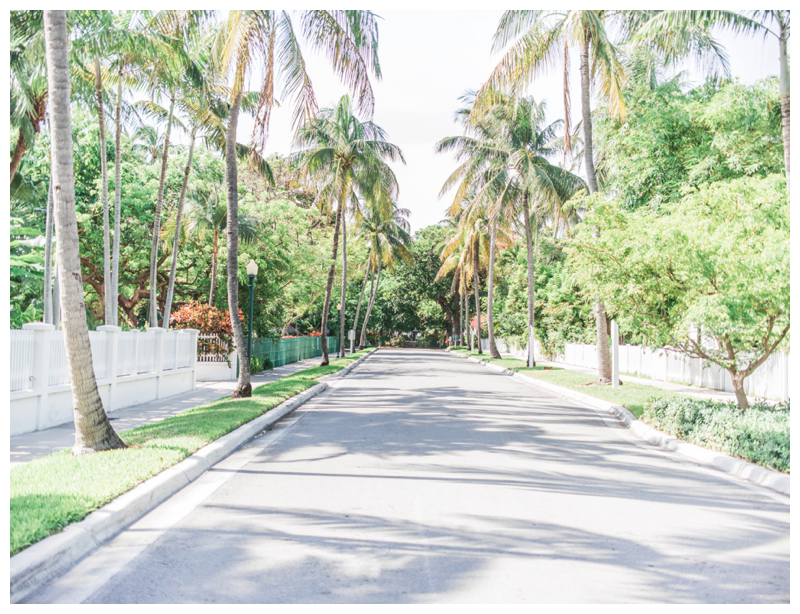 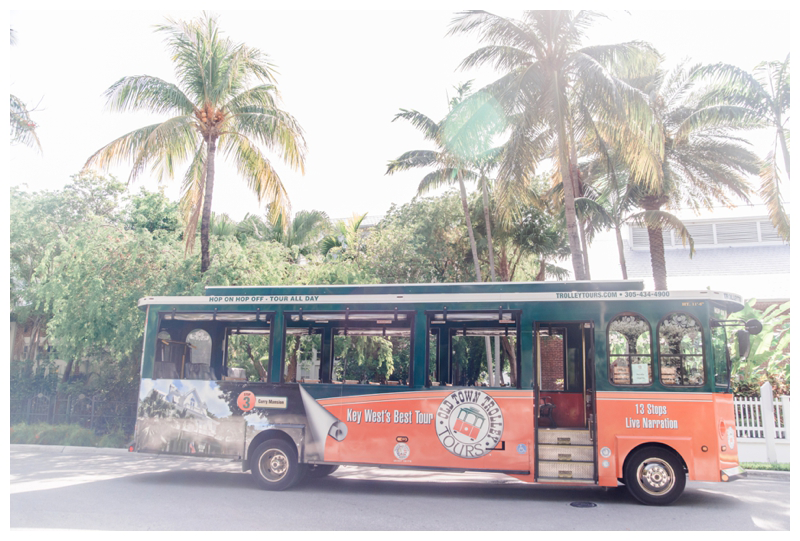 As many of you know, Key West is the southernmost city in the continental US. 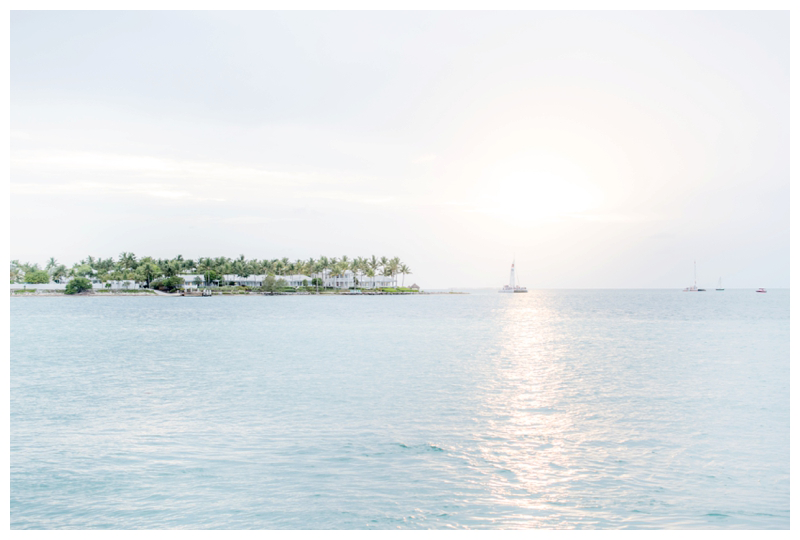 I will do a blog post all about our travel down there, as well as where we stayed, what we ate and what we did. 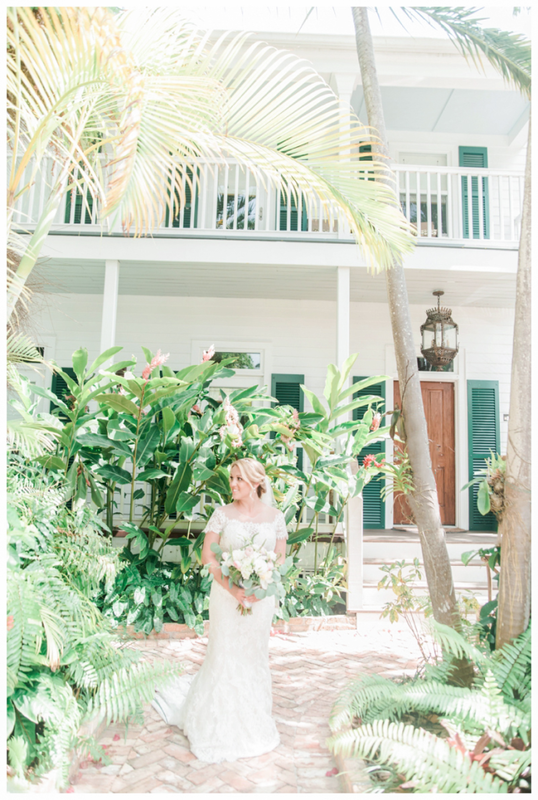 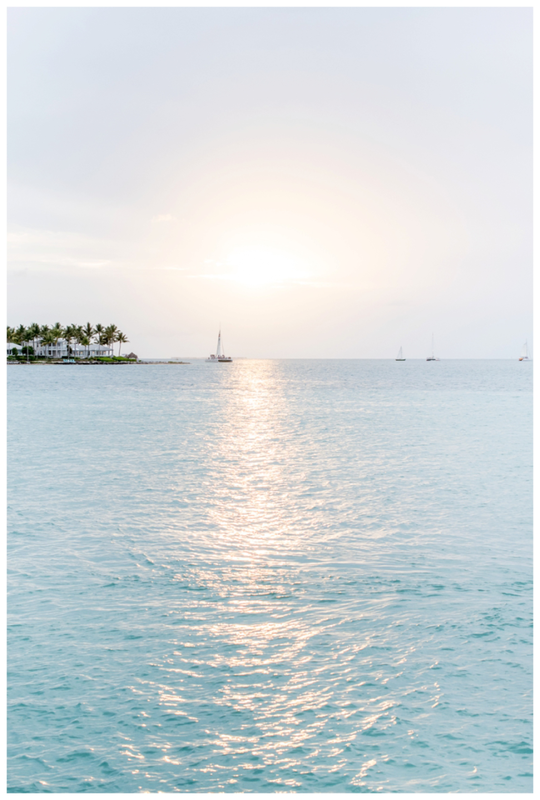 There’s just so much to love about Key West! 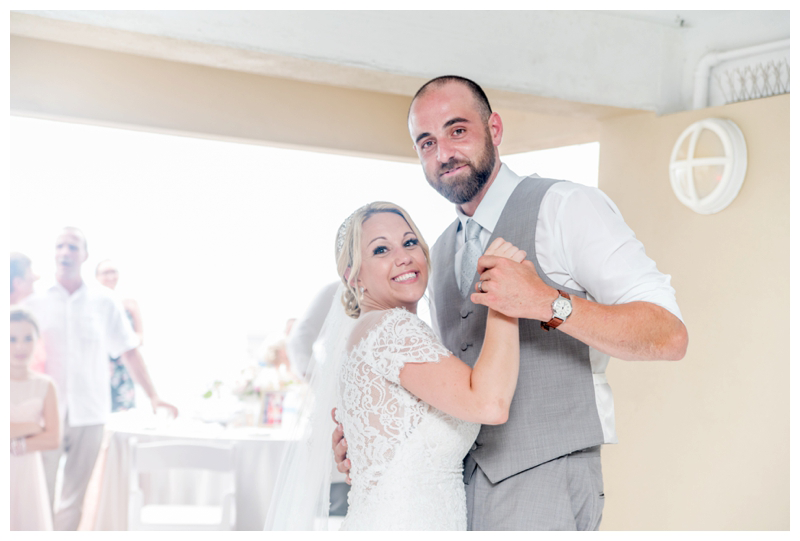 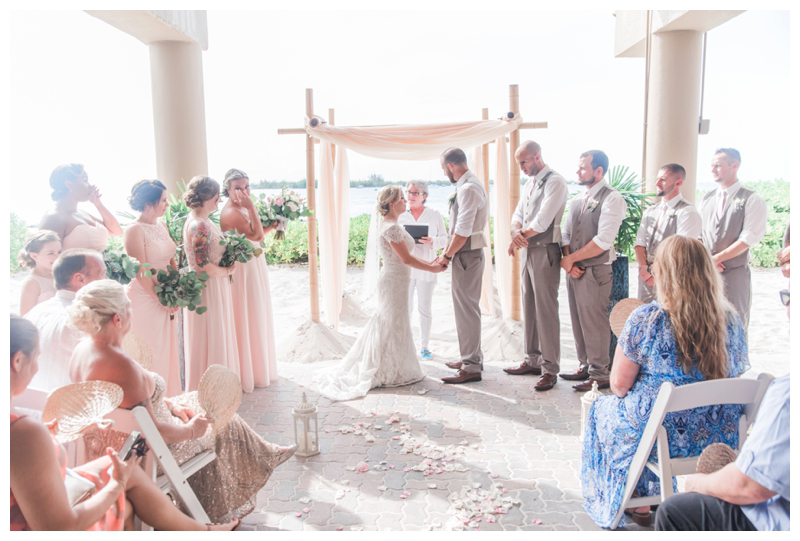 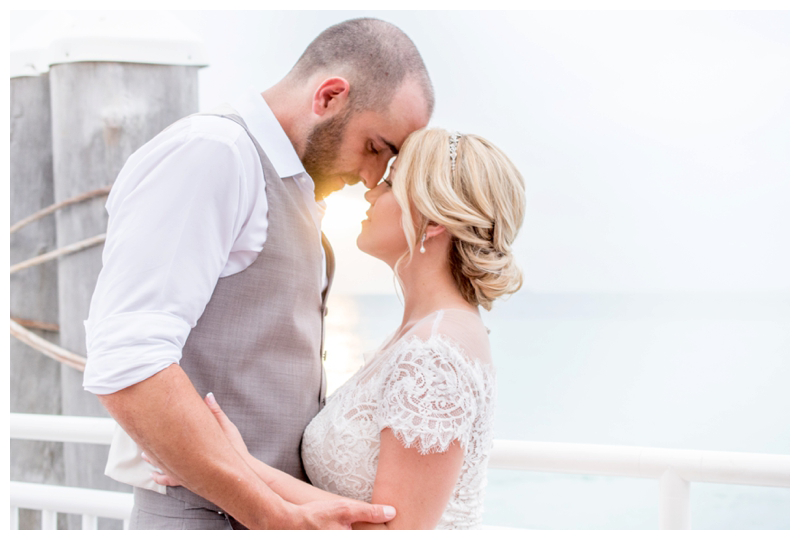 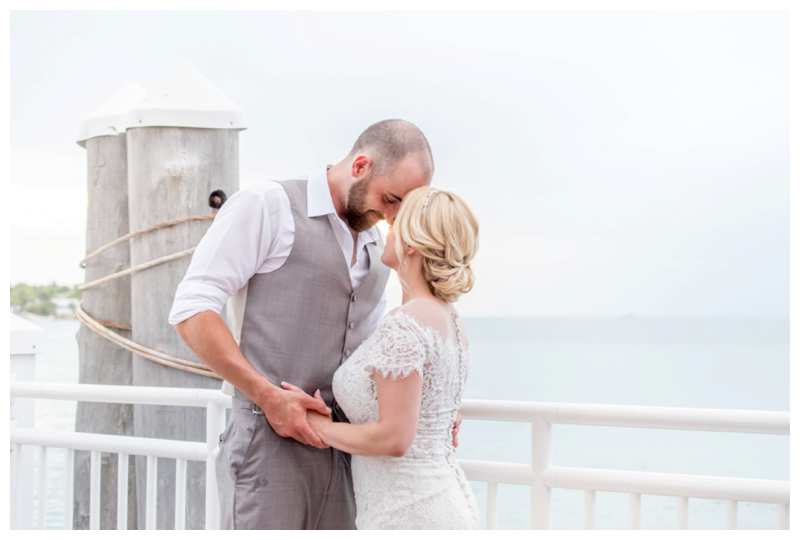 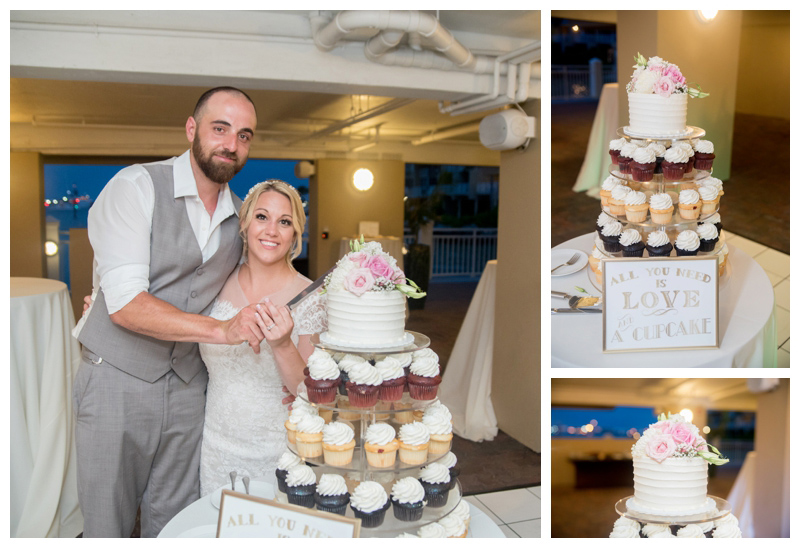 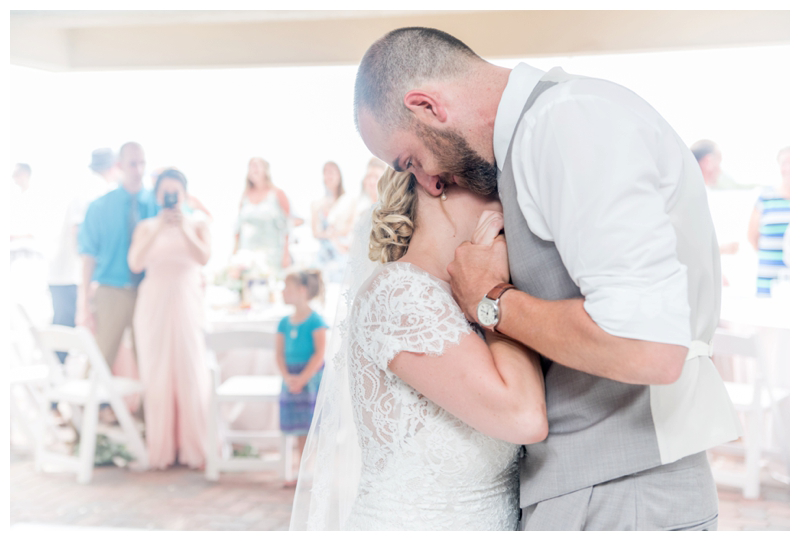 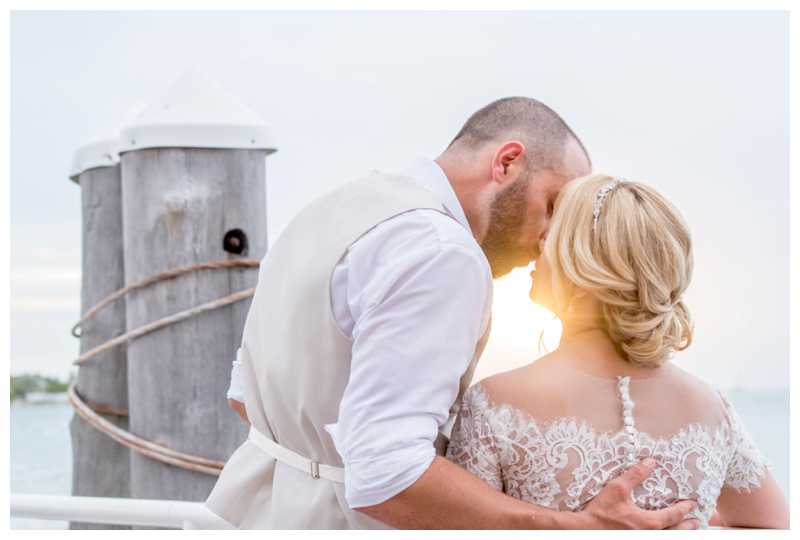 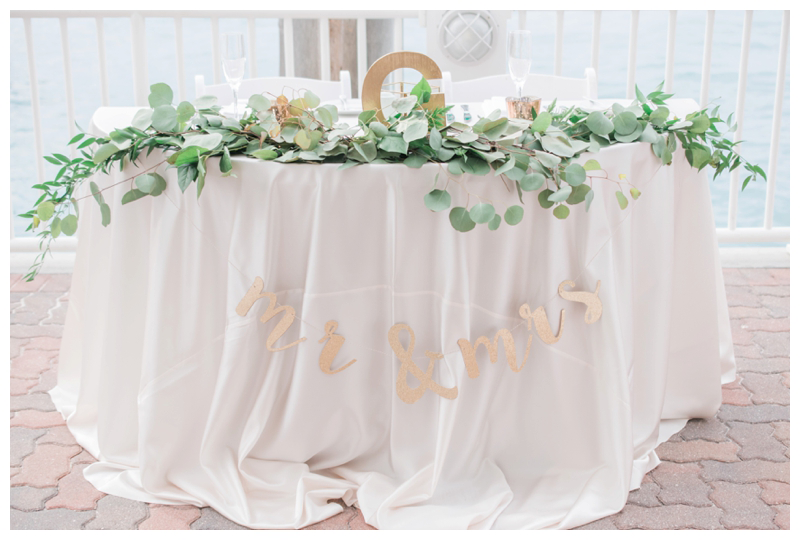 Most importantly, while we were down there we got to witness Jamie and Cody’s love story and their beautiful wedding day at the Pier House Resort & Spa . 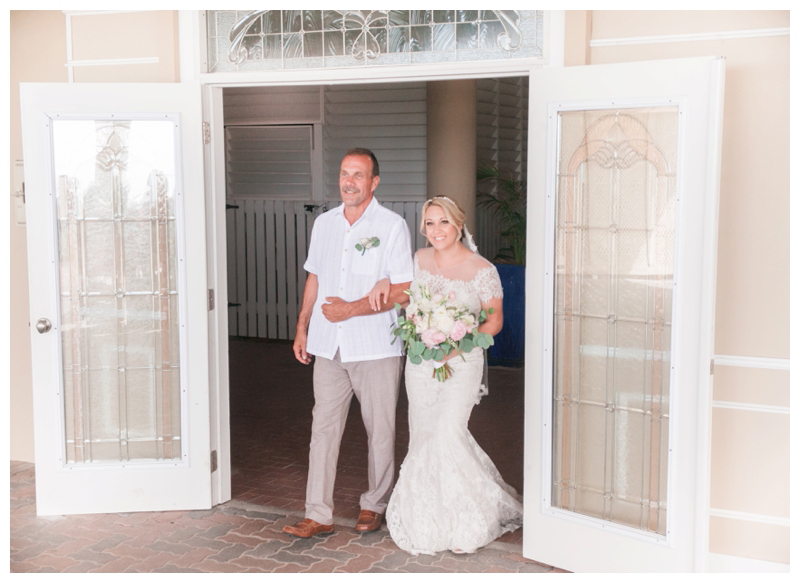 Jamie look stunning in her Madison James dress from Kleinfeld Bridal. 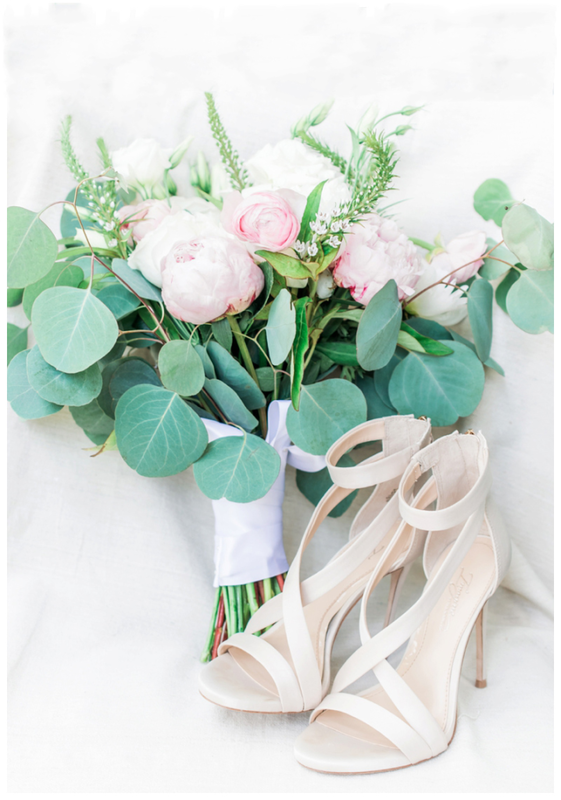 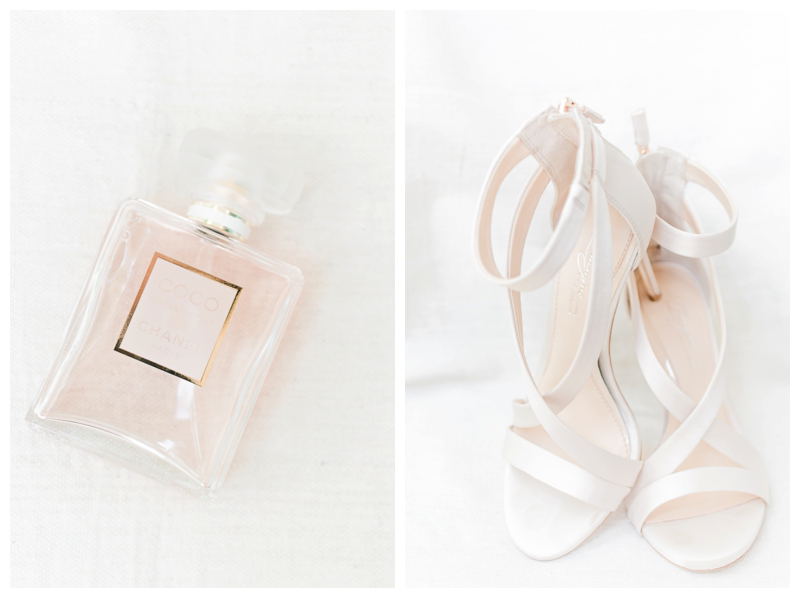 I absolutely adored her Vince Camuto heels, you’ll see them below. 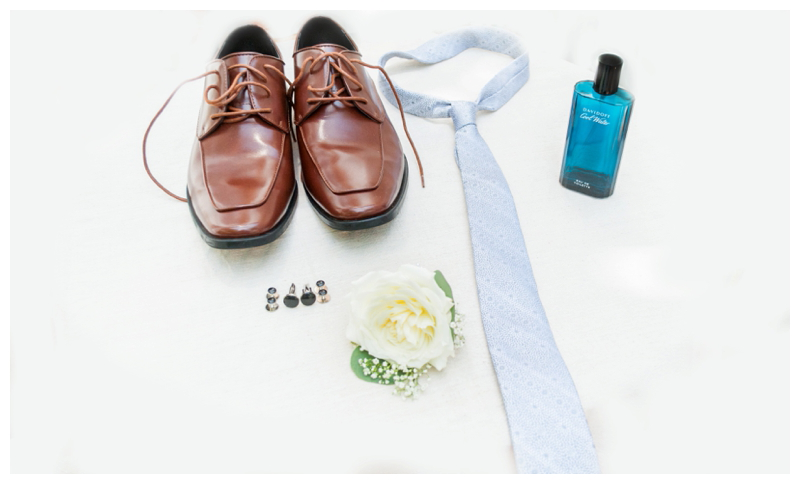 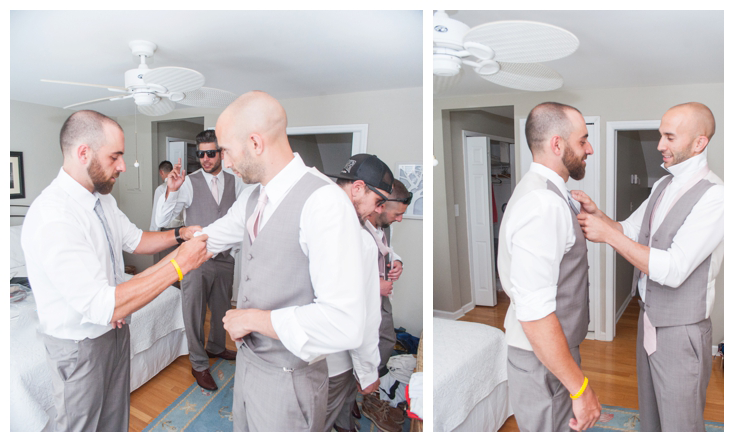 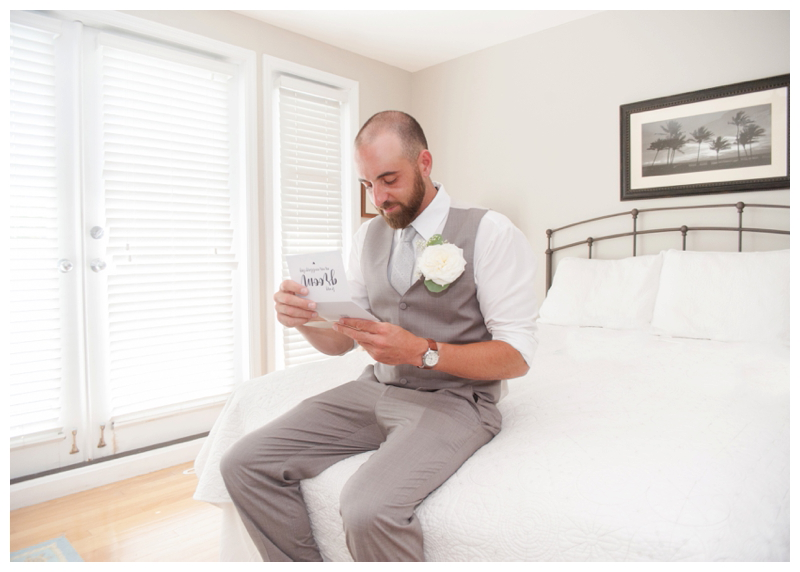 Both the bride and groom got ready at separate houses in the Truman Annex. 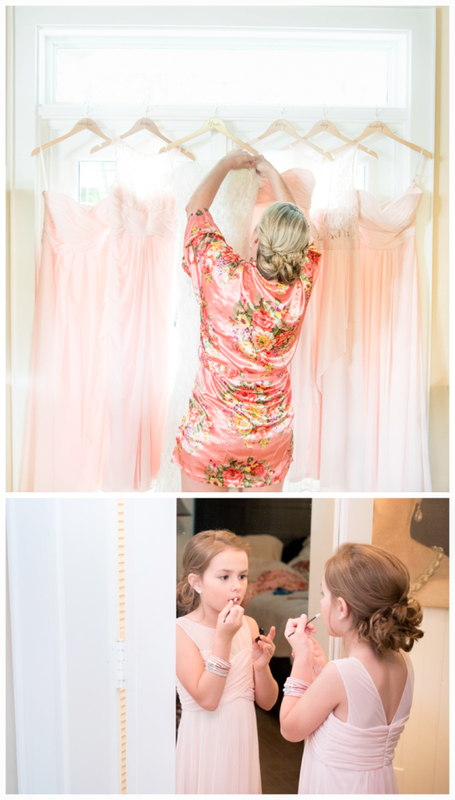 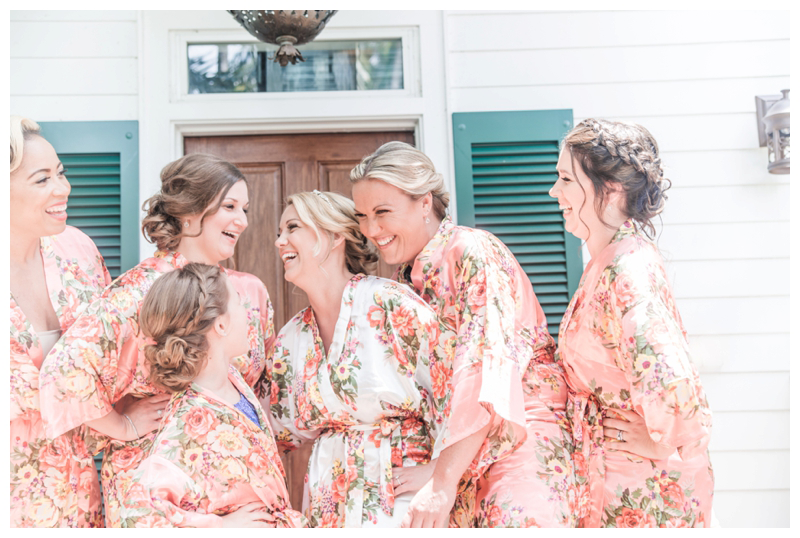 The homes within the Truman Annex are absolutely stunning and made for the most beautiful location for getting ready photos as you’ll see below. 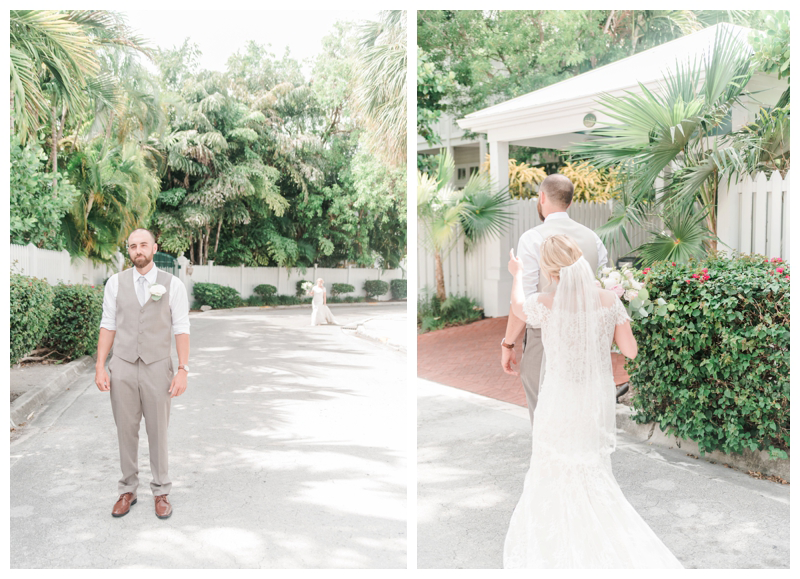 For their first look we walked down the street where Cody was waiting to meet his bride. 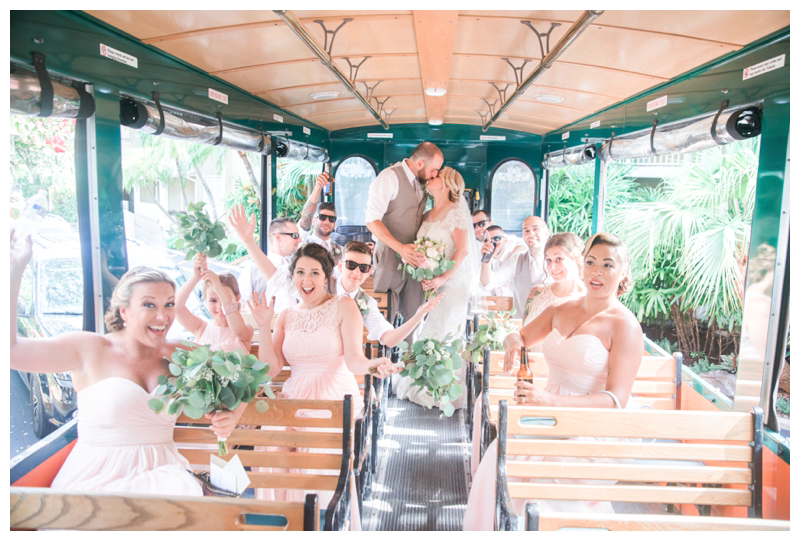 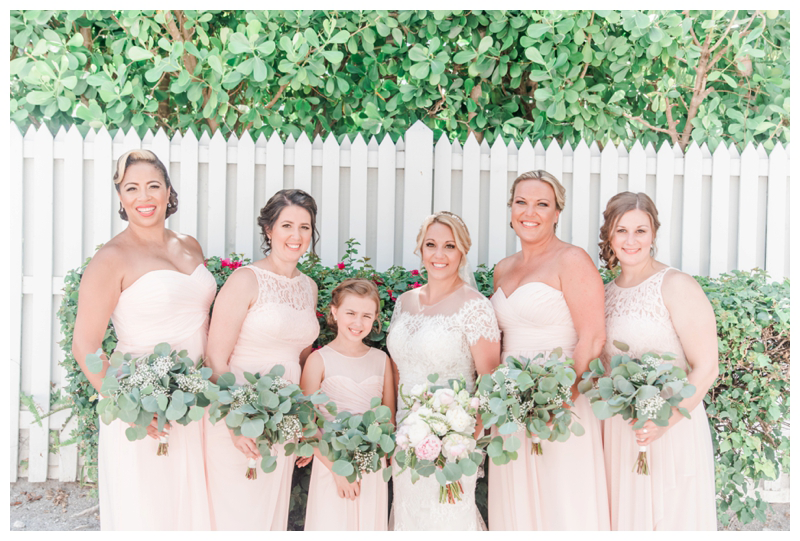 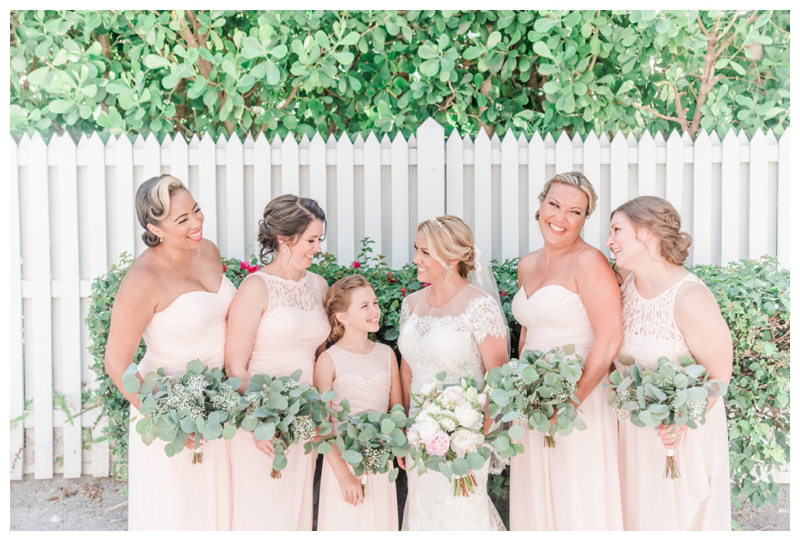 After their first look, we photographed their bridal party photos and Bride & Groom photos before hopping on the Old Town Trolley to their ceremony site at the Pier House. 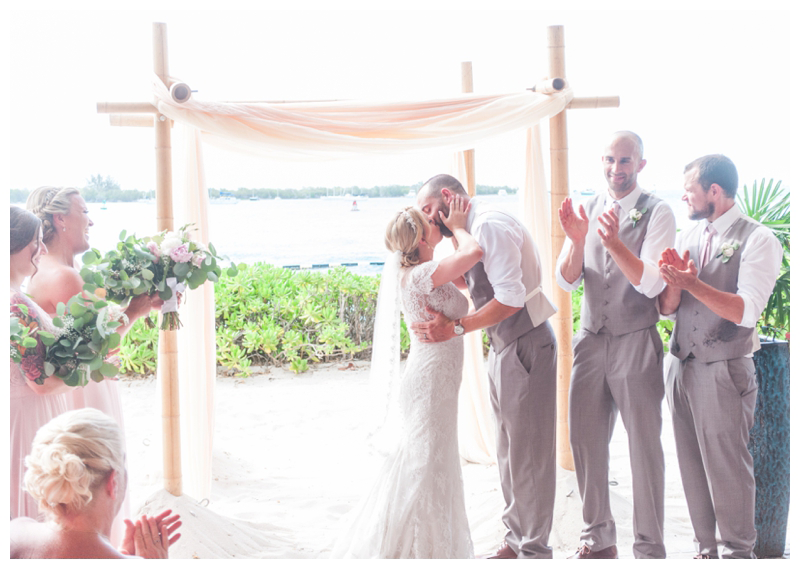 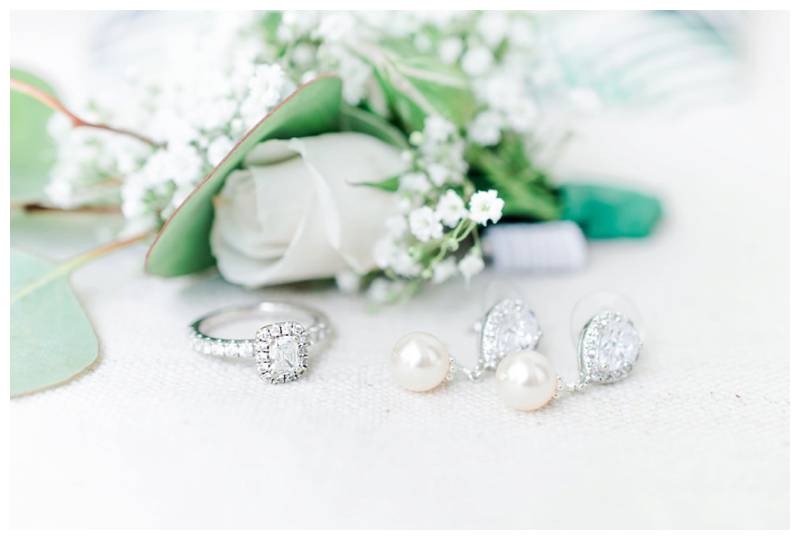 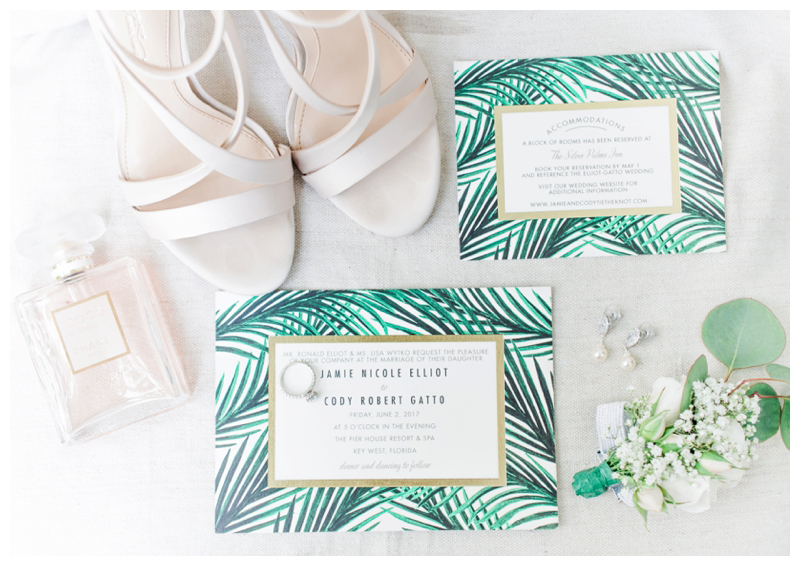 Their ceremony was sweet and intimate surrounded by their closest family and friends. 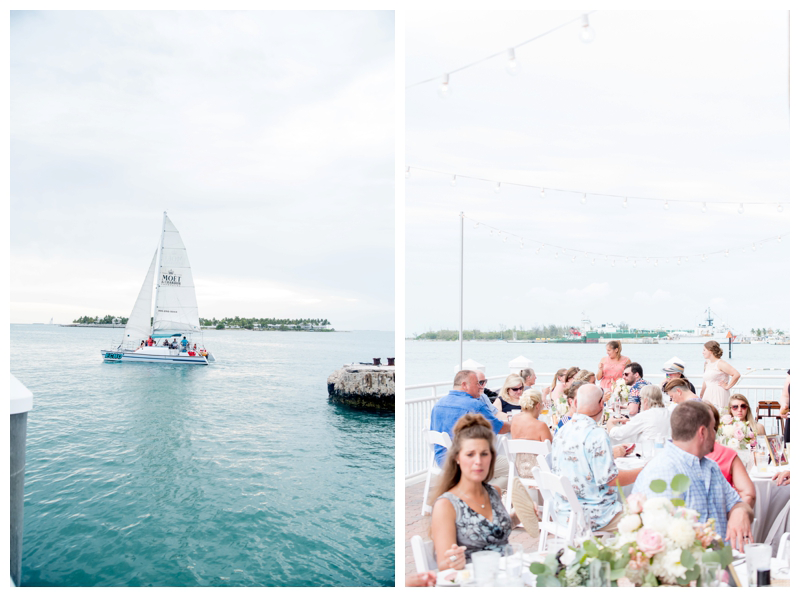 The bride and groom stood under a canopy and they exchanged vows and rings as sailboats drifted by in the background. 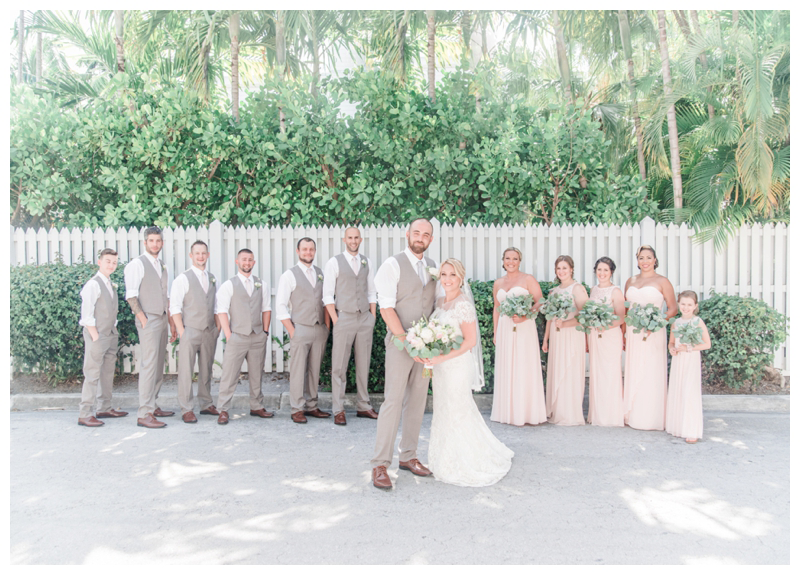 After some family photos and cocktail hour, it was time for the reception. 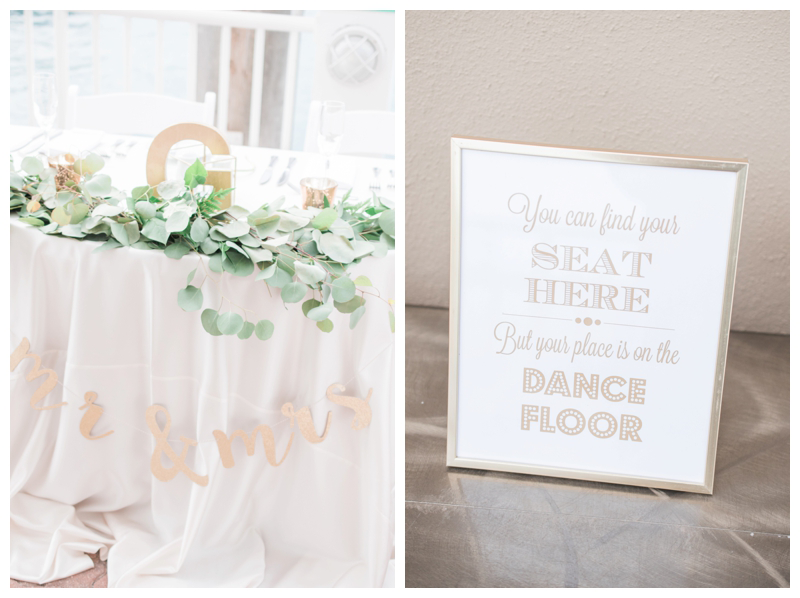 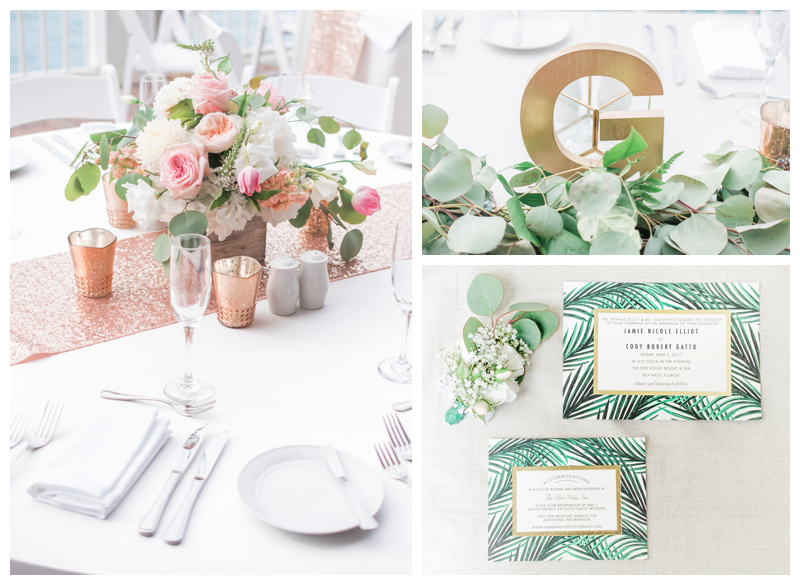 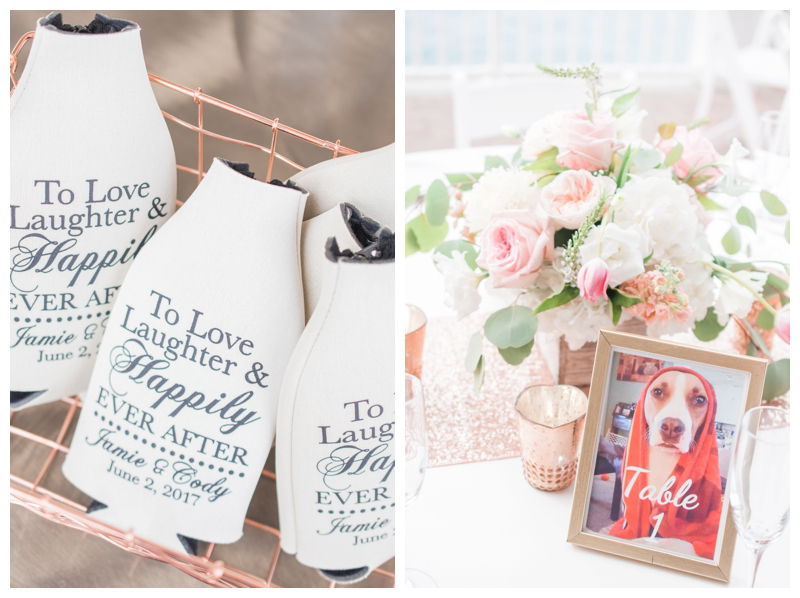 I loved all the decor items that Jamie had picked for her reception. 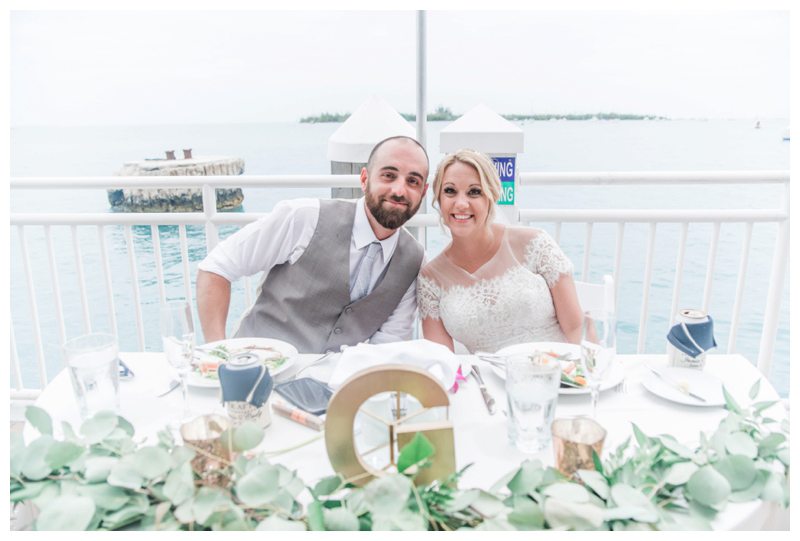 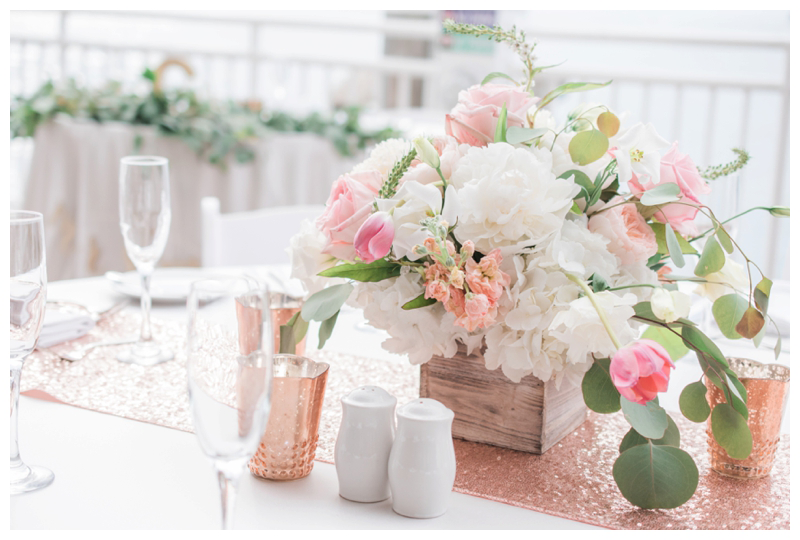 Check out the cutest table numbers below!! 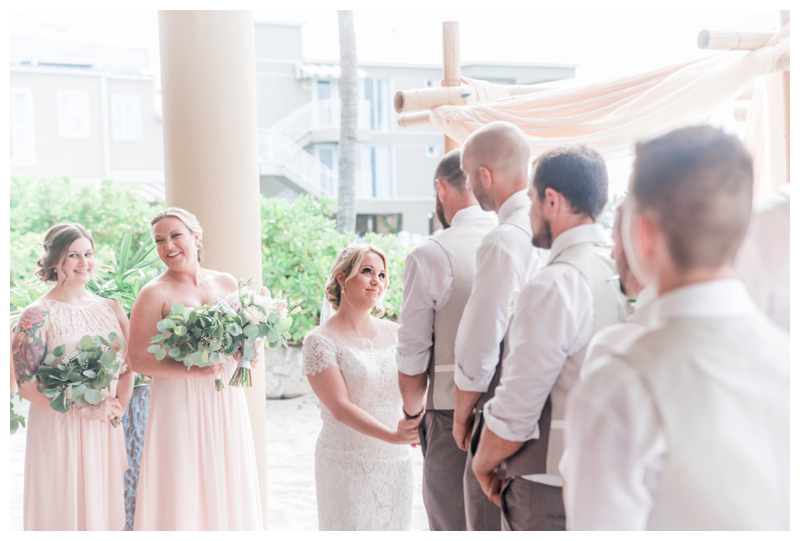 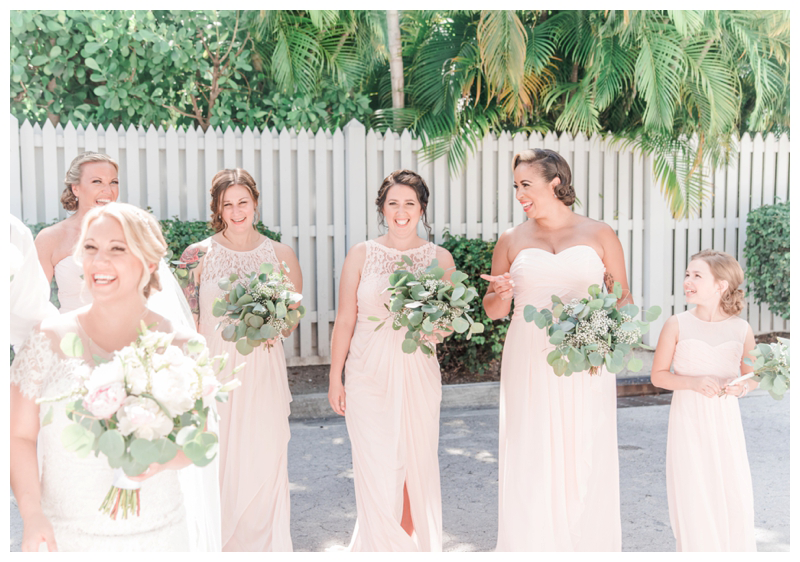 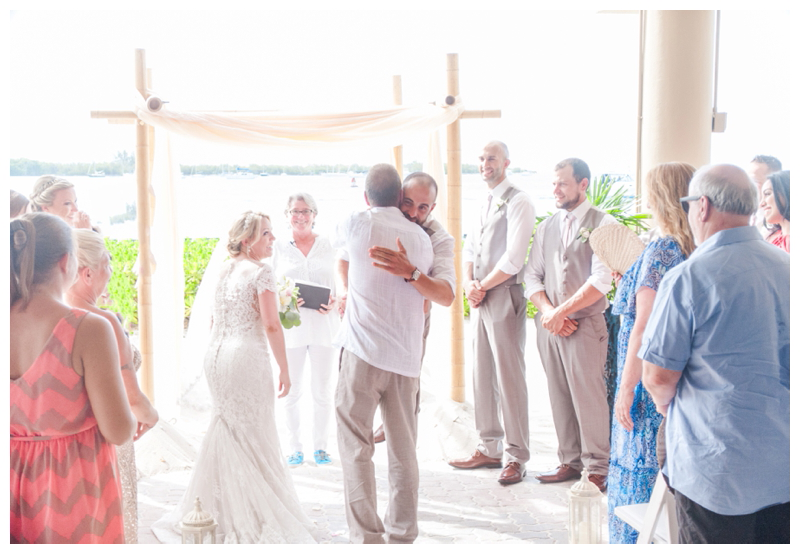 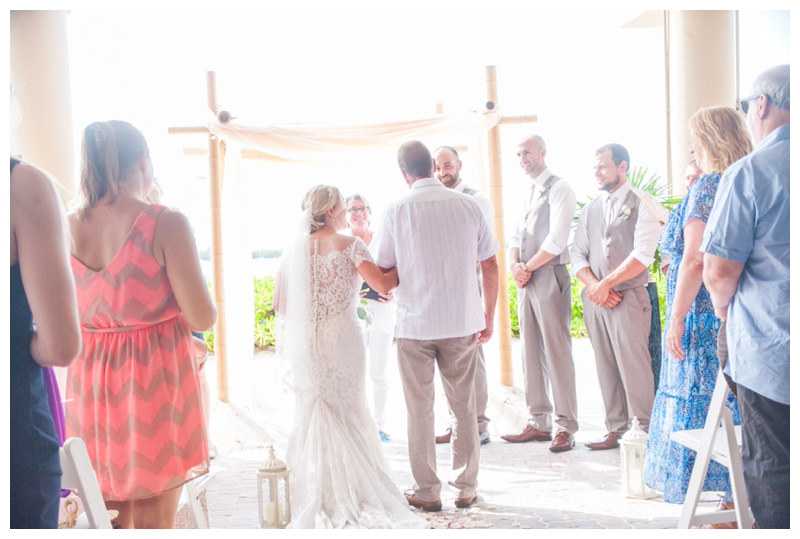 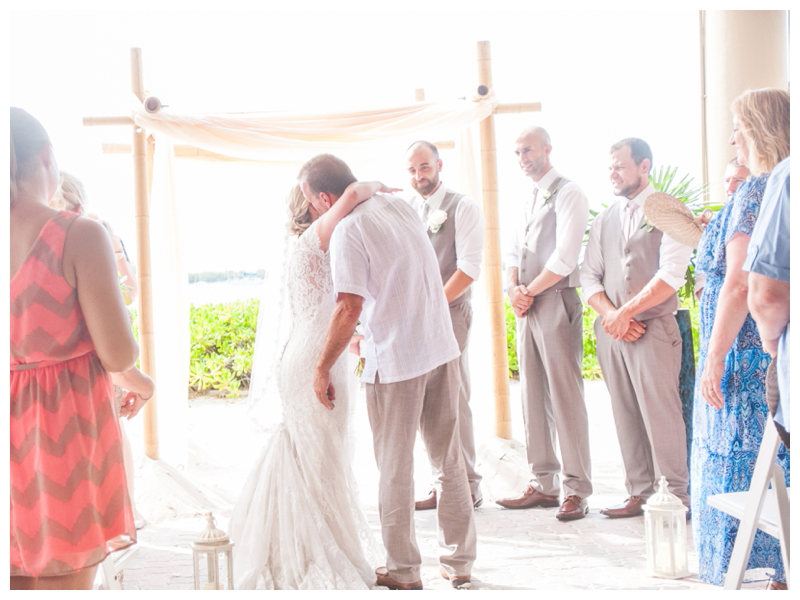 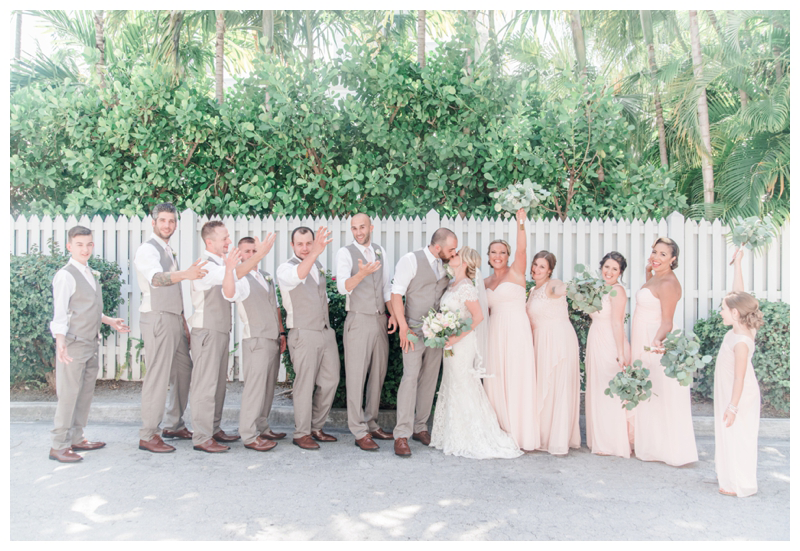 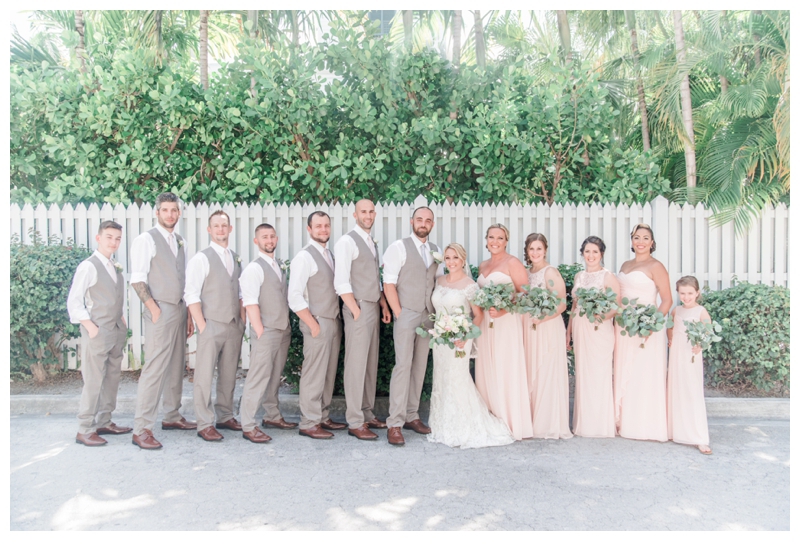 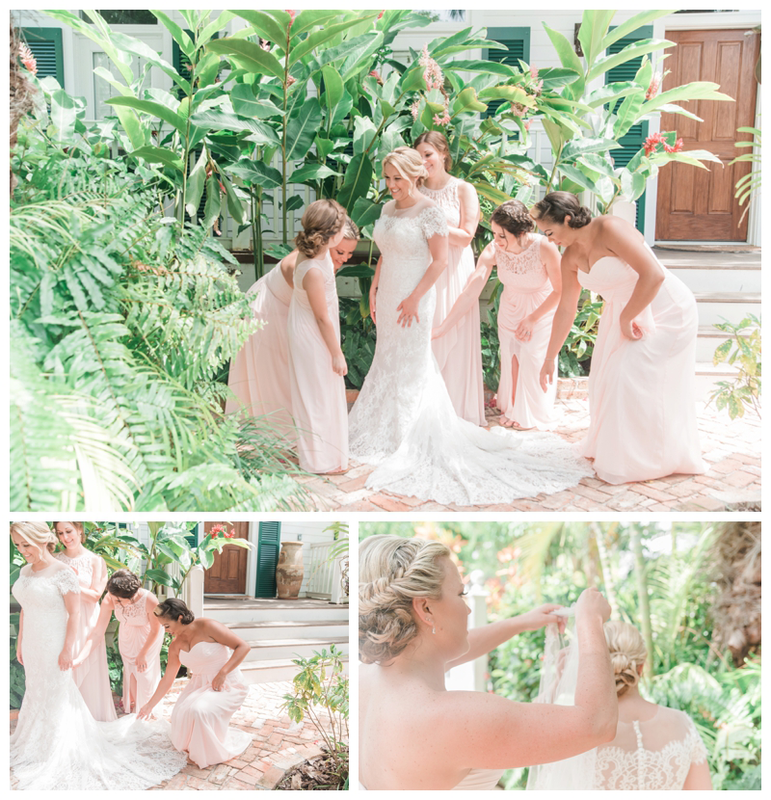 Her wedding planner Anna, from Say Yes In Key West did an amazing job at bringing all the vendors together. 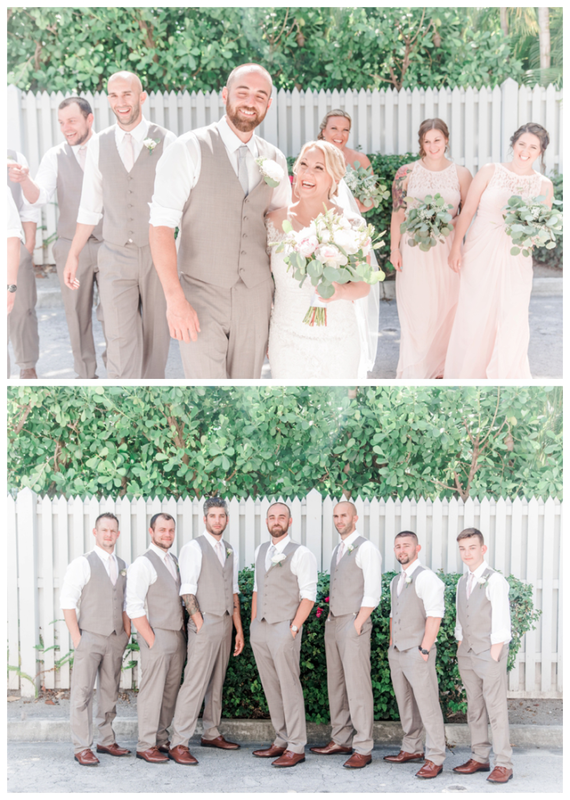 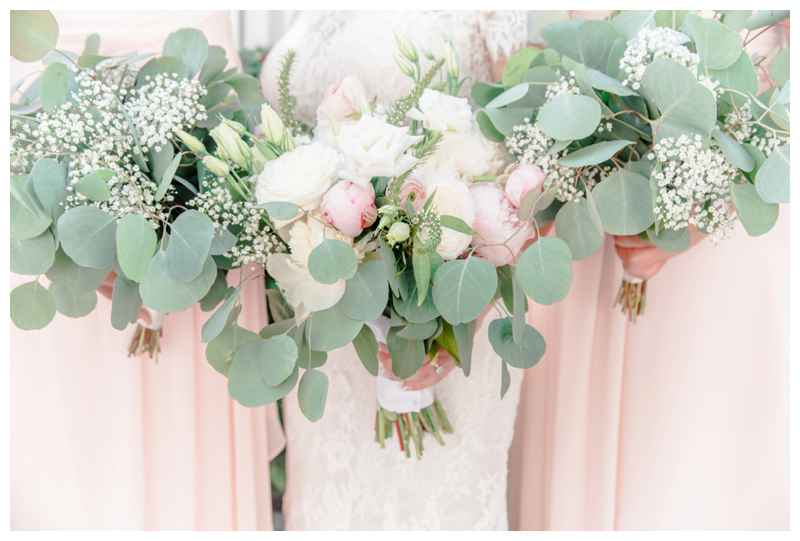 I have to mention that it was so refreshing at Jamie and Cody’s wedding, to work with vendors that all truly wanted to work together for the bride and groom. 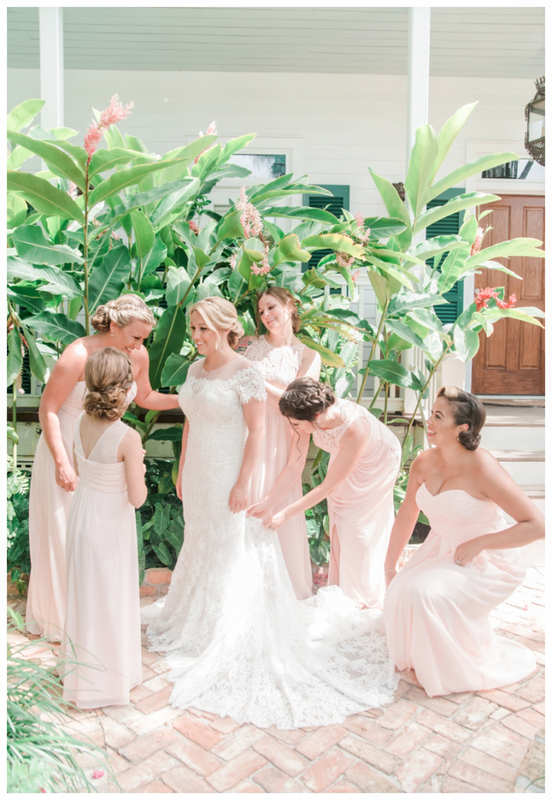 Everyone was such a joy to work with. 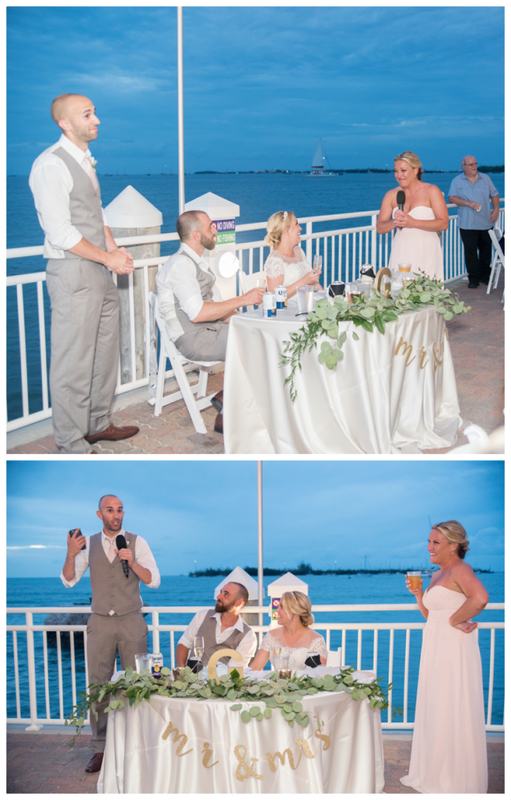 After the bride and groom made their grand entrance into the reception, guests enjoyed dinner, followed by multiple toasts. 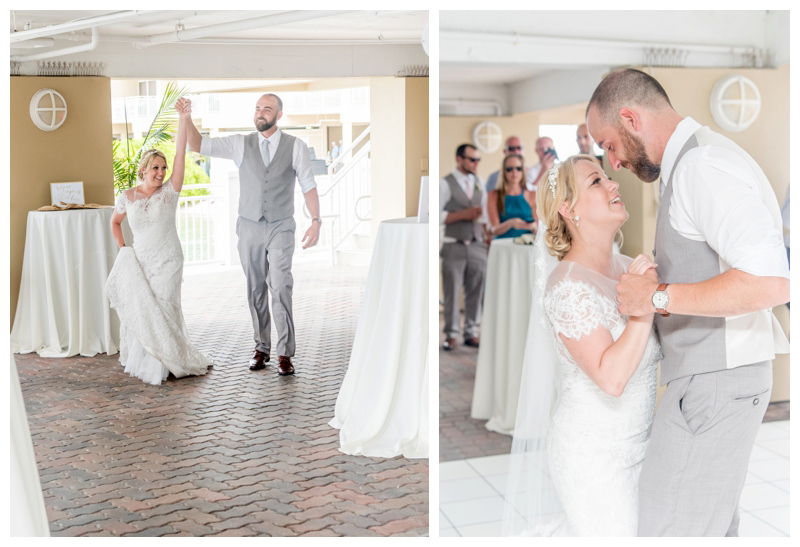 We were able to snap a few sunset photos before the dance floor opened, and I have to say those photos are some of my favorite from the day. 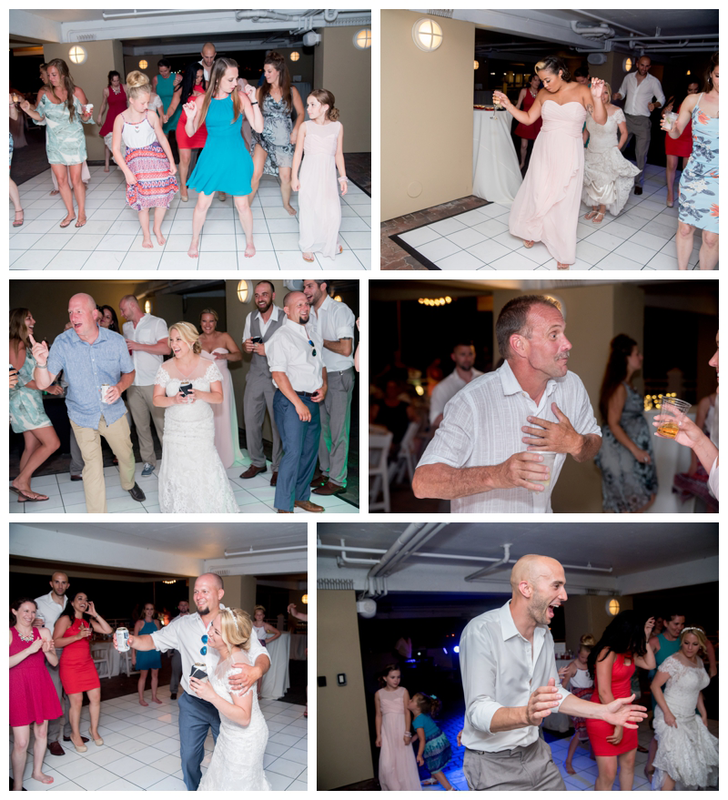 After sunset, it was time for the dancing! 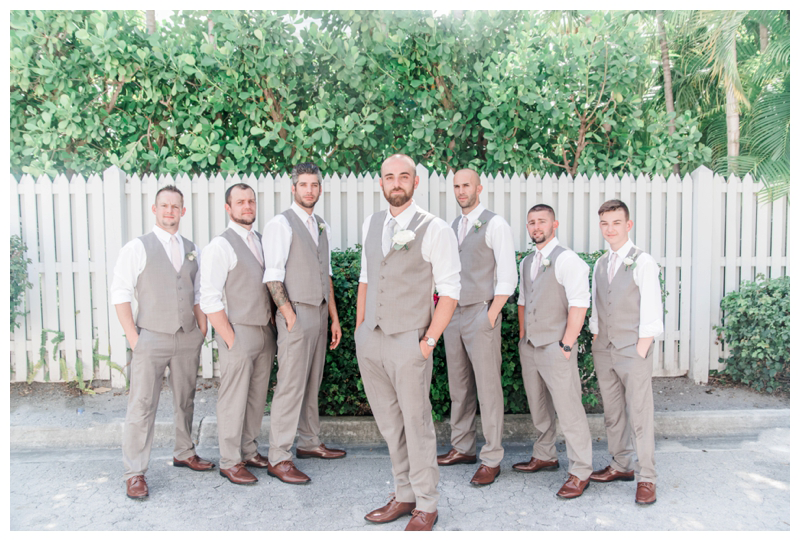 Now, over the past five years I’ve seen many solo dance performances at weddings, but nothing quite like the backstreet boy impersonation that one of the groomsman did. 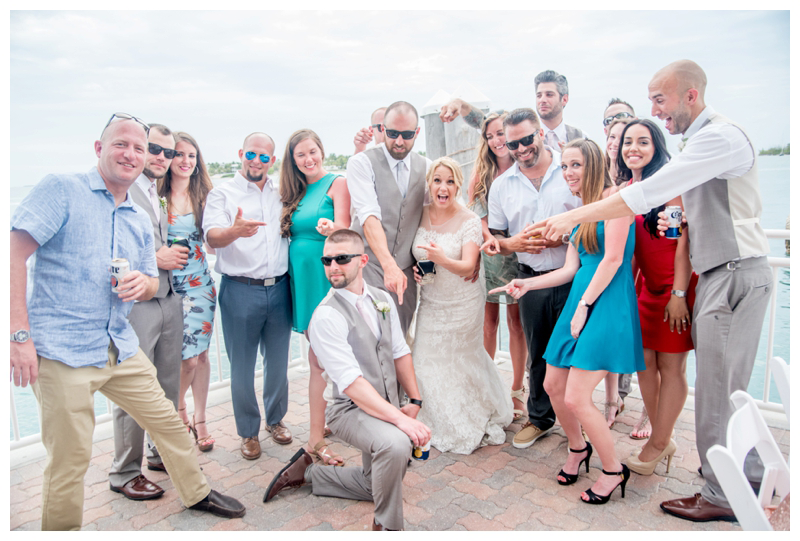 My inner 12-year-old backstreet boy fan, loved it! 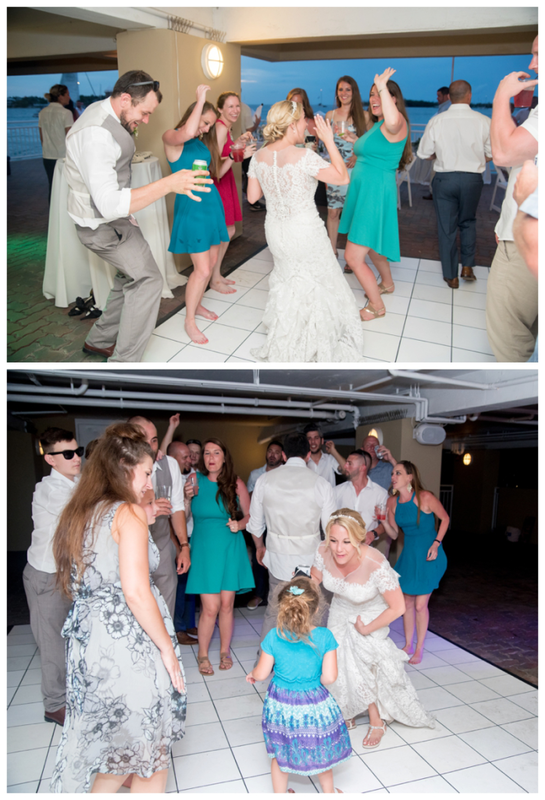 You’ll know what photo I’m talking about when you looked at the reception photos below. 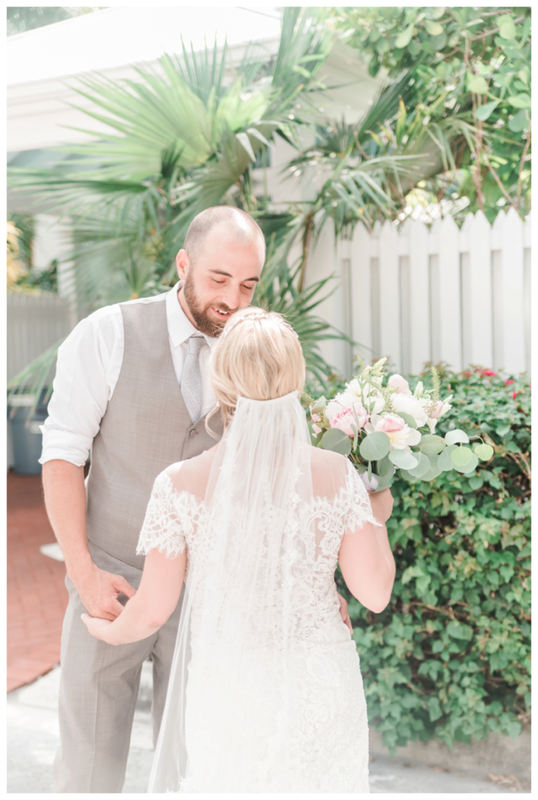 Jamie and Cody are such a beautiful couple and I truly wish them many years of happiness! 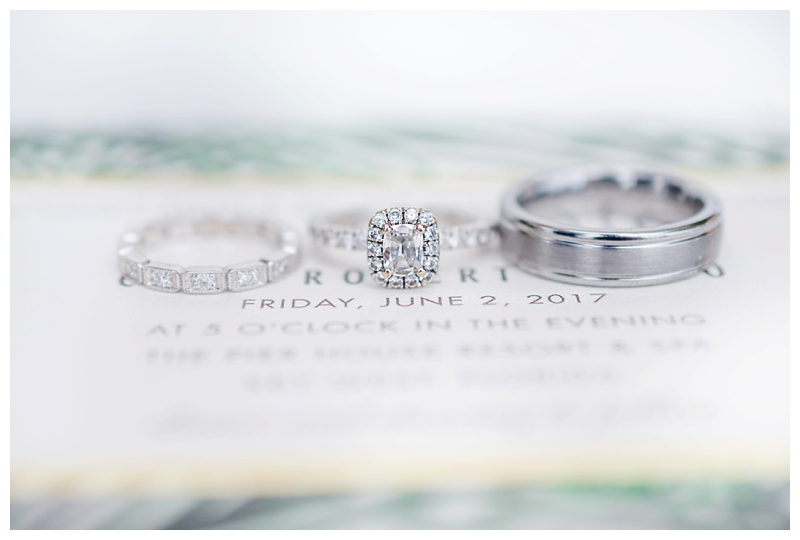 Below are a few (Okay, maybe more than a few! 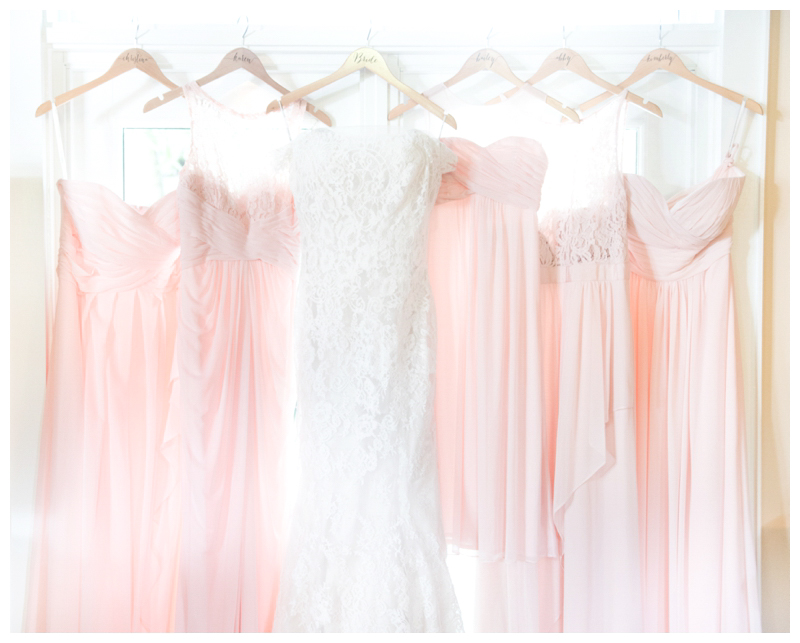 I just couldn’t narrow it down!) 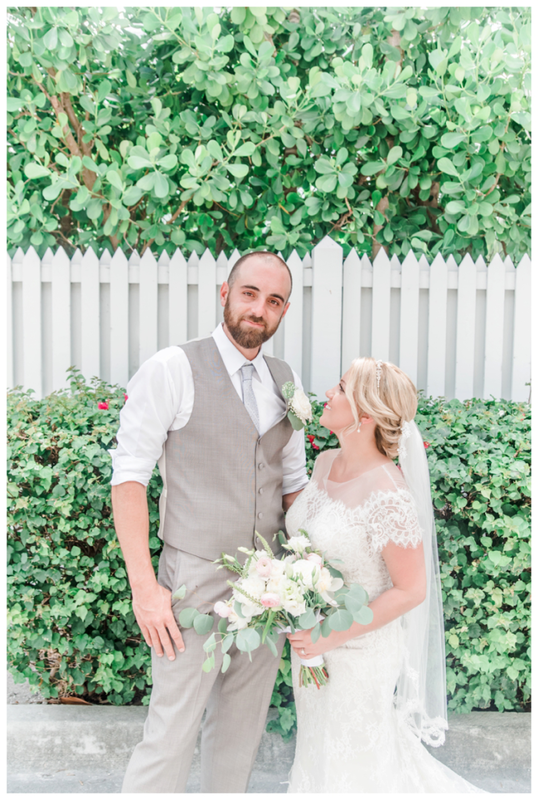 photos from their beautiful wedding. 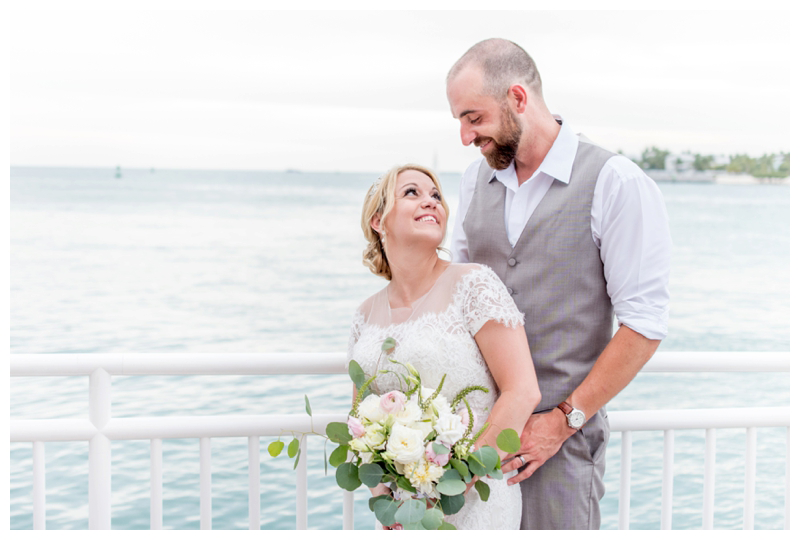 Also, a HUGE thank you to my husband for second shooting & doing two early morning flights with me!